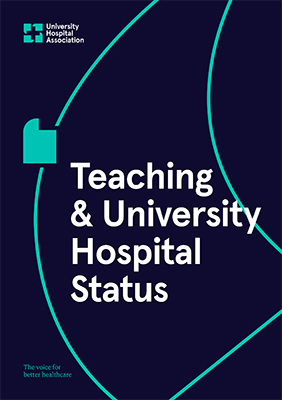 UHA has a membership of 44 university hospital trusts. It is led by the trust chief executives, while from each trust is also drawn the director of finance, nursing, human resources, research and development, and the medical director. They form national groups for the sharing of issues and solutions for key areas in the health service. Each group is assisted by UHA policy staff. We are the largest unified voice of the UK’s university hospitals, comprising of 44 specialist trusts. Our latest documents, informed by our members and their experience to inspire healthcare change. The latest news and events for the University Hospitals Association.